Cannonau Cannonau is a genetic match with Garnacha of Spain (Grenache in France and many other countries), as are Tai Rosso and Vernaccia Nera, but all of them have developed in relative isolation for centuries. Light in color. Aromas & flavors: Floral, herbal. Best DOP: Cannonau di Sardegna subzones Oliena, Jerzu, and Capo Ferrato. 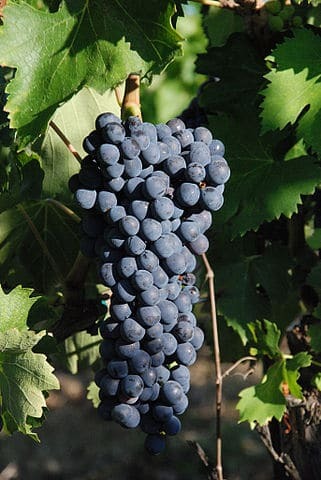 This variety has long been grown intermingled with Coda di Volpe in the Vesuvio DOC, and the two varieties have been confused with one another or considered to be the same. Caprettone was recognized as a separate variety in 2014, but it is still unclear how many vines in the Vesuvius area are Caprettone and how many are Coda di Volpe. Carignano Cariñena, transplanted from Spain centuries ago. Similar or identical to Bovale Grande. Grows best on sandy soils, where it produces creamy wines with soft tannins. Best DOP: Carignano del Sulcis. Catarratto Once the most planted Italian white variety, but now disappearing. Two biotypes: Comune (higher sugar, lower acid) and Lucido. Medium to full bodied. Aromas & flavors: Sage, thyme, banana, pineapple, citrus; somewhat bitter finish. Cesanese Two distinct varieties: Cesanese Comune and Cesanese di Affile (the latter considered better). Moderate color and tannin. Aromas & flavors: Red cherry, spices (cinnamon, white pepper), rose petals. Best DOPs: Cesanese del Piglio DOCG, Cesanese di Olevano Romano DOC, and Cesanese di Affile DOC. Coda di Volpe Low in acidity; high in extract and color. Austere on volcanic soils; richer and softer elsewhere. May or may not be the same variety as Caprettone, which is the main variety grown in Vesuvio DOC. Aromas & flavors: Peach, pineapple, papaya, honey. Best DOP: Sannio DOC (esp. subzone Taburno). Cortese Very high in acidity; distinctive minerality. Aromas & flavors: Lemon, mineral, white flowers, herbs. Best DOP: Gavi DOCG (esp. from Rovereto frazione). Corvina Thick skin, ideal for air-drying. Light in color and tannin. Aromas & flavors: Violet, blackberry, red cherry, herbs. Believed to be a descendant of both Marzemino and Refosco dal Peduncolo Rosso; distinct from Corvinone and Corbina. Croatina Frequently called, but unrelated to, Bonarda, Uva Rara, or even Nebbiolo. High in color and tannin. Aromas & flavors: Red fruit (raspberry), ripe black cherry. Best DOP: Bonarda dell’Oltrepò Pavese.